Over the next month, we will be reporting on our trip through the Lost Coast. The posts will include our daily trip diaries, food preparation, and current conditions and tips. We plan to revisit and update the posts as we think of new ideas and new resources. The Lost Coast trail is located in Northern California in Humboldt County. The shoreline at the southern end of the trail is so seismically unstable, the Pacific Coast Highway (Hwy 1) had to be moved miles inland. 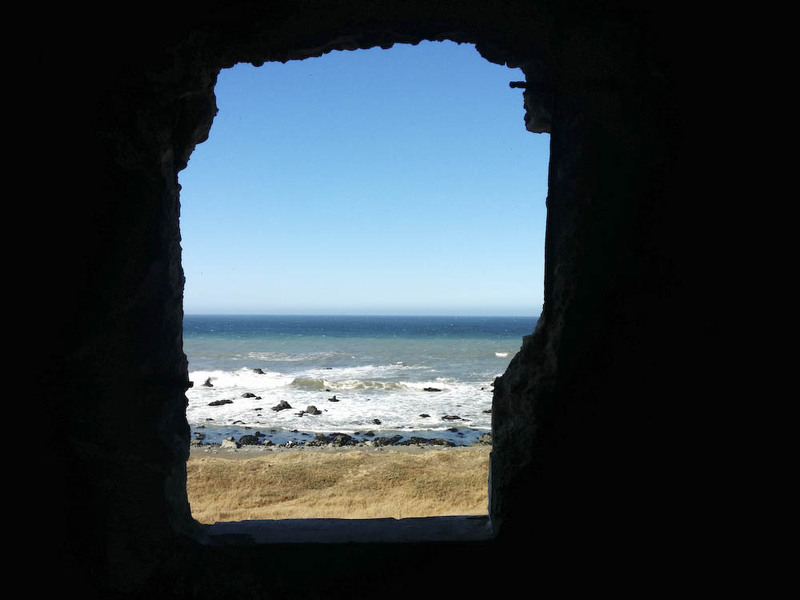 Out of all the trekking trips on our to do list, the Lost Coast trail has long been on the top of the list. Being Californians, we felt this was a classic trail we had to tackle. The 11 hour drive from Orange County has always been the main deterrent for us. However, due to the high number of fires in the Sierras, we had to cancel our week-long section hike of the John Muir Trail (JMT) and immediately jumped into planning the Lost Coast Trail after we heard a rumor about a potential quota restriction next year (see Permits and Restrictions for more details). Location: Located in Humboldt County, California. The Lost Coast is broken into two sections, the Kings Range Wilderness and the Sinkyone Wilderness State Park. 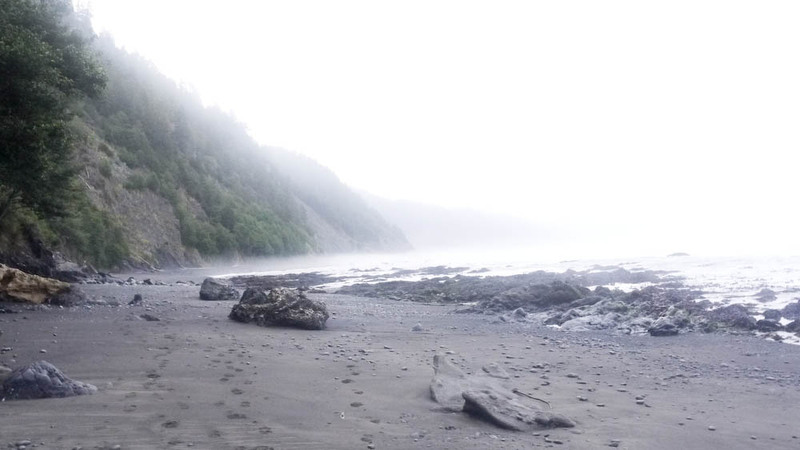 The Kings Range Wilderness section, which is the most popular stretch of the Lost Coast Trail, is located at Mattole Beach to Black Sands Beach in Shelter Cove. Distance: 25 miles on the north trail, one way. We hiked from the southern end to north and back (50 miles total). While flat, the trail was tough because of the rocky terrain and soft sand. Best Time: Year round, the area gets around 100 inches of rain every year. Duration: About 3.5 days with early mornings and afternoon breaks to wait for low tide. Permits and Restrictions: Permits can be obtained at either Matthole Beach or Black Sands Beach trailhead until January 8, 2017. Beginning January 9, 2017, advanced backcountry permits will be required. Click here for more details. Make sure to obtain a fire permit online or at the ranger’s office if you plan on using a stove for cooking. A bear canister is also required for this trail and available for rental at the local BLM office. As of September 2015, The ranger stated their may be a quota implemented in 2016. Dogs are allowed on the trail. We did not bring Dakota with us because we were concerned the coastal terrain would be too hard on her paws. Carry a tide chart. It is very important to learn to read and understand it. At low tide, the beach is exposed. The well compacted wet sand on the beach is a lot easier to walk on than the rocks. We started hiking most areas within 3-4 hours of high tide. Sturdy shoes are important for this hike because of the uneven terrain. For shorter hikes, we typically wear trail runners. Because the rocky terrain, we chose to wear mid top hiking boots. Water resistant boots are not necessary in summer months, but it makes it easier to walk on wet sand and cross creeks. Samantha did not have them, although her feet did get wet on Day 2. Vandalism and break-ins are common at the parking lot. The car next to ours was broken into when we got back from our trek. Make sure to put all your valuables away. Poison oak is everywhere. Be prepared. Long pants are important. We made it a habit to change out of our hiking clothes before sleeping. Moisture is an issue on the trail and synthetics have the advantage. Whether rain, fog, or sea water – your gear can and will get wet. We packed all our clothing and quilts in a pack liner (or dry sack). On foggy nights, the synthetic bag was dry and the down bag needed to be dried during the day. We kept all our clothes in the pack liner over night because the clothes absorbs moisture in the air. We use Glad Compactor Kitchen Trash Bags as our pack liners. They come in packages of 4 for about $4. They are strong, lightweight at about 2.5 oz, and will last a long time. Wind gusts are strong on the trail. A wind shedding tent and good site selection really helps with a good nights rest. Staking down your tents and supporting them with stones is important! We brought two snow stakes for our tents to supplement our tri-Y stakes. Good footing is essential when rock scrambling or hiking along bluffs. Weather is unpredictable. There was no rain forecasted on our trip, but we got a shower on the first night. The salty air and sand destroys your gear. Our twist locks on our trekking poles were locking up and seizing. We stored them at night unlocked and cleaned them off before hiking. The trail is a very social hike. There are a lot of people on the trail. Get to know them as you will see them throughout the trail. If you plan to hike the Sinkyone Wilderness stretch, understand that it is currently overgrown. As of September 2015, the host/ranger stated that they are planning to clear sections of the trail to make it passable. There is a cool store next to the grocery/supply store on Shelter Cove Road. It’s good for last minute items and souvenirs. Great posts by Jeff at SoCal Hiker. Trip plan covers less mileage per day and should be considered for those who are planning on spending more time on the trail. Great information and general tips on the trail. The blog is maintained by a Kings Range Wilderness Ranger. For the most up-to-date information on the trail, visit the blog. Best map available. The map is available for purchase at the BLM offices. The tidal charts are a must have. Make sure you have the most up to date information! This entry was posted in Hiking & Backpacking, Trail Reports, Travels and tagged adventure, backpacking, California, Hiking, outdoors, trail reports by hikenoworklater. Bookmark the permalink. Thanks! We will be posting additional info on the hike in the coming weeks. We’ll keep you post it! I’m looking at doing this pretty soon so up to date trail info is very useful. Love the blog, keep it coming! thanks, it was a great trip, we highly recommend it. Let us know if there any specific questions we didn’t cover in our posts, we’d be happy to help! 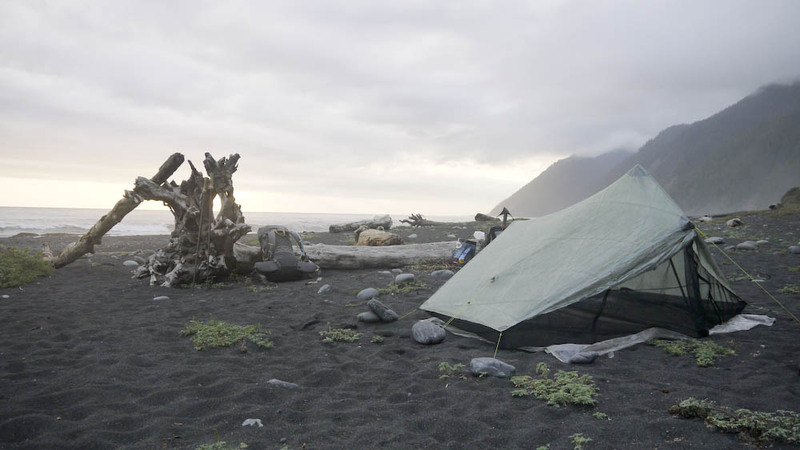 What tent did you use for this trip (seen in photo)?